Habitat: Suitable planted in the garden and in the fields where the land is not moist and contains a lot of sand to a height of up to 600 m above sea level. 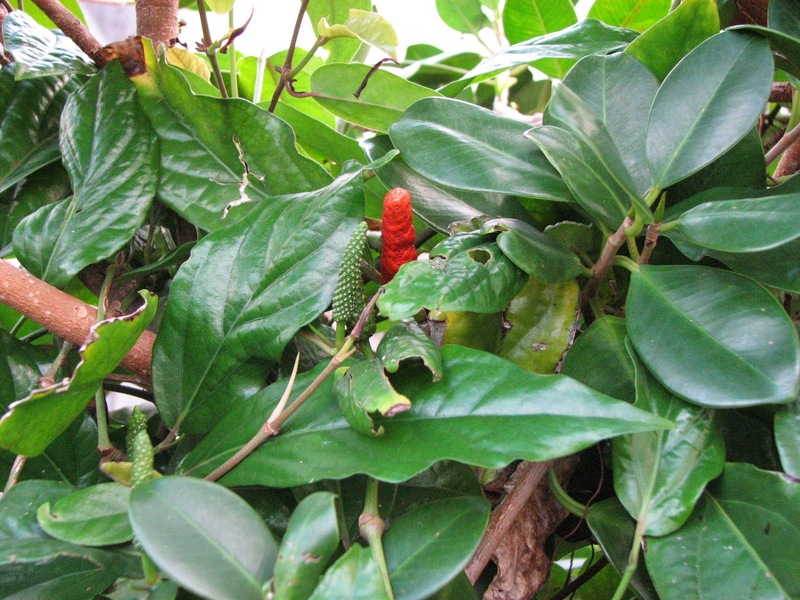 Description of the plant: Plants climb chronic, long stems to 10 meters. Stem hardens like wood, each segment (nondus) out roots attached. Elongated rounded leaves with heart-shaped bottom, tapered ends. Unisexual flowers arranged in grain and grows upright. Male heads of grain straighter than females. The fruit Buni, before cooking green, hard and sharp spicy taste (in the world market better quality and preferred over that has been cooked), red when ripe, soft and sweet taste. Fruit Java chili finely ground and added honey, Raw fruit and dried 6 g; Honey to taste, drink every day. One cup hot water, Java chili leaves 3 pieces; chili leaves are crushed and then mixed with water, to rinse and mouth or swallowed to anti colic.